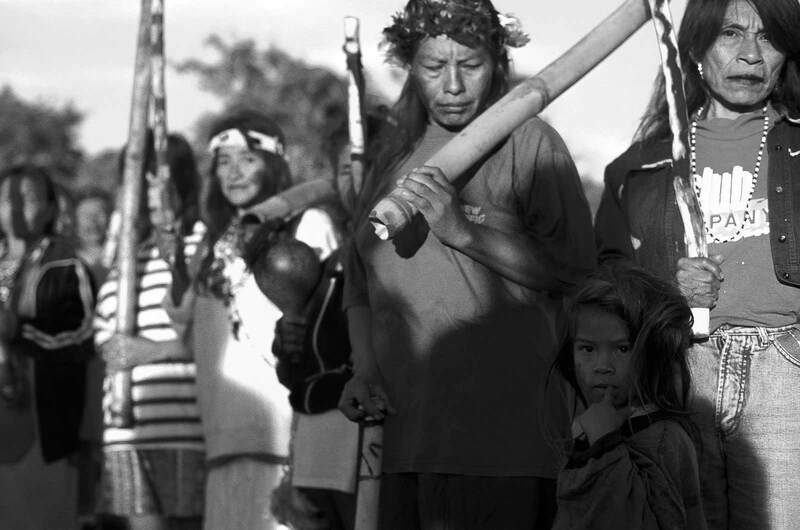 Guarani-Kaiowas indigenous people. Women ready for war. Recovery of traditional territory. The indians face the armed authority of the farmers and long judicial battles for the demarcation and permanence in their lands. Mato Grosso do Sul State, Mid-west Brazil.